I fell in love with Circles of Faith the day I stumbled upon their website. 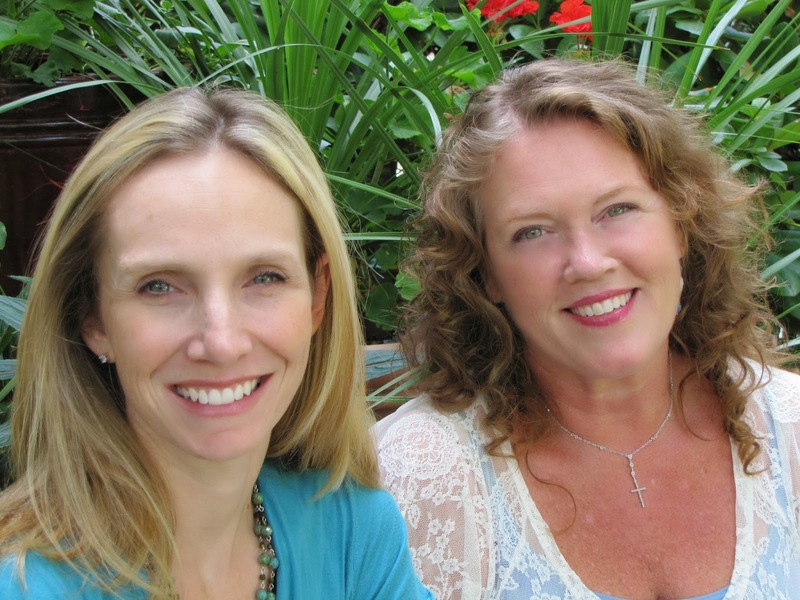 The Co-Founders, Elise Daly Parker and Kimberly Amici, have created a beautiful community which is why I want to share them with you. Last month you had the opportunity to meet Kimberly and today Elise gives us a closer look at her dream come true. Dreams can sometimes take an awfully long time to come true, right? So it is with my dream, which has resulted in Circles of Faith – Where FAITH, LIFE, and COMMUNITY Intersect. On Mondays - Circles of Faith is a place for people to Inspire one another. I was traveling around New Jersey, my home state, and many other Northeastern states to share the ministry of Moms In Prayer International. It was an exciting time. I loved meeting moms who were tenderhearted, yet fiercely determined to protect, care for, love, and pray their kids through the many stages of growing up. As we shared the power of praying, many women through tears of praise and thanksgiving would also tell their inspiring stories of answered prayer. Together we were strengthened, renewed, refreshed, empowered. The impact of sharing our FAITH stories is life-changing. My burning passion to share our FAITH through stories started then as an ember. 20 years later, it continues to grow, fueled by mounting evidence that Jesus is alive in these stories. I believe everyone has a grand story of faith, marked by many moments of God winks and whispers. Everyone’s story matters—to others, ourselves, to God, and often a combination of all three. On Wednesdays – Circles of Faith is a place for people to Equip one another. 40-50% of all US marriages end in divorce – How do we stay married? My family isn't what I pictured – How can I create a Mission Statement? We have terrible eating habits – How can I fill my home with nutritious options? I’m lonely…off-track…angry…my relationships are off – Help! 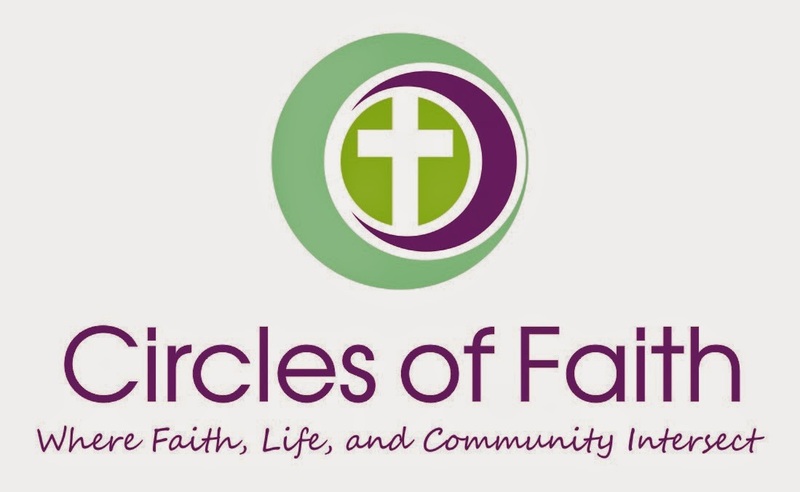 On Fridays – Circles of Faith is a place to Connect over music, books, ministry, and events. Sharing our FAITH and LIFE together leads to COMMUNITY. Through Circles of Faith, I have met women I never would have met without the World Wide Web. (Beth is one of them!) And this year I've been extravagantly blessed to meet many of my online friends in person. That has sparked an effort on the part of CoFounder Kimberly Amici and me to seek opportunities to build in-person Christian community. We've just started a monthly Bloggers MeetUp and we've got plans in the works to host a retreat. And we build COMMUNITY by highlighting resources - music, books, ministries, conferences, retreats. We now have a monthly First Friday Book Faves LinkUp, an In Your Words feature where contributors chat about traditions, how we spend time with God, trends, and more to come. Sharing FAITH stories that reform, inform and transform. Pouring our gifts and knowledge into one another’s LIFE. Building COMMUNITY that crosses over denominational, cultural, ethnic, and racial lines. At Circles of Faith, we share Jesus…He is the UNITY in our COMMUNITY. He is where the people who gather through Circles Of Faith Intersect. Come on over and check out Circles of Faith. Subscribe FREE, join us on Facebook, Twitter, and Pinterest. And if you’re a writer, we welcome you to Guest Post and share your story of FAITH, LIFE, and/or COMMUNITY. Elise Daly Parker is passionate about sharing stories that inspire, equip, and connect. She believes everyone has a story that matters! As a result, Elise is the CoFounder and Executive Editor of the community/contributor site, Circles of Faith, Where Faith, Life, and Community Intersect. 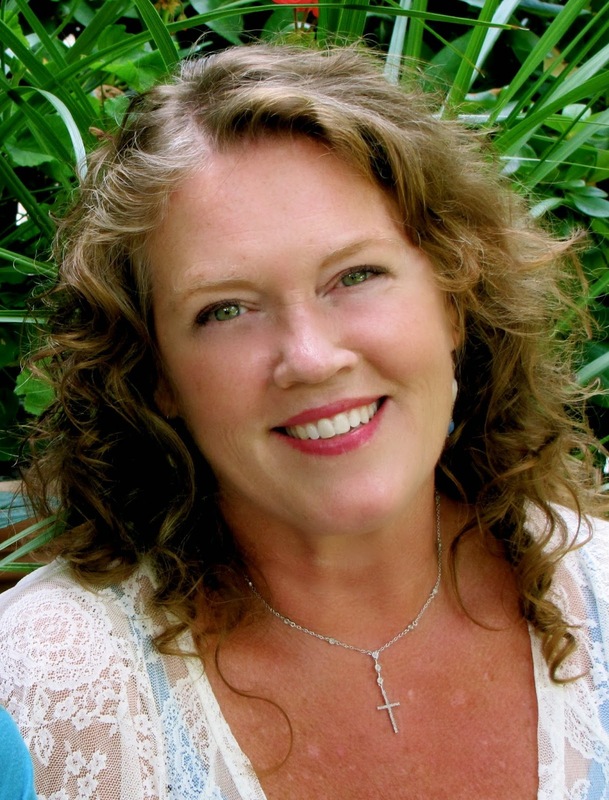 Elise has been a writer and editor for over 30 years and is also a speaker and writing coach. Married for almost 30 years, Elise and her beloved husband Chris are navigating life in a “successful nest” (Chris says “empty nest” is too negative). They have four mostly grown daughters, one son-in-love, and a new grandbaby who has filled their lives with new joy. Elise serves as a Mentor Mom in a MOPs group, where she hopes 30+ years of parenting can help calm the choppy seas of marriage and motherhood for others. Join Elise on her blog Our Stories, God’s Glory, Facebook, and Twitter. Get the full picture at EliseDalyParker.com. Loved learning more about Circles of Faith. I have a post to link up tomorrow! Thanks Barbie! We appreciate your friendship so much. Thanks for sharing Circles of Faith Beth! Have a wonderful week dear friend! Thanks for sharing Elise's dream with us! I've wanted to know more about Circles of Faith so your post was quite timely! Hope you have a wonderful Wednesday. Thanks for your interest Holly! We'd love you to guest post. LOVE reading these every week! I agree Ashley. Love what Beth is doing here on Wednesdays! I've had the privilege of meeting Elise in real life...and I LOVE HER!! She truly has a heart for other women and hearing their stories, I'm excited to see what God is doing with Circles of Faith. The feeling is mutual Alecia! So very blessed to get to know you in real life and look forward to so much more. Love you! !